Because dragon hoards and crafting go together better than peanut butter and chocolate. 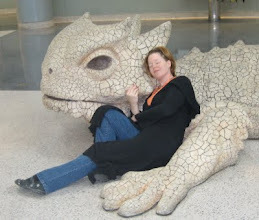 So, discussion between Hubby and I.
I'm looking at pictures of dragons, because I'm wanting to sculpt something but I don't have the imagination needed to come up with something on my own. I know, I write. I imagine whole worlds but visual is completely different. Or 3 dimensional is completely different. I need a picture to start with. You can click on the image to go to the site where I found it. 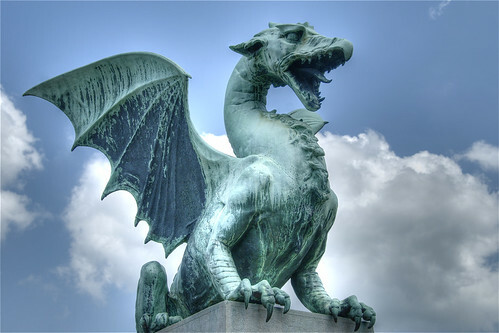 It says underneath "Statue of a dragon guarding one of the beautiful bridges in downtown Ljubljana, Slovenia. June 2008." I show Hubby, telling it is on a bridge in some place I can't pronounce. Like that is somehow difficult to pronounce. Grumble, grouse. I start getting a little confused when there are three consonants in a row and they're not str or ngs. Because I seem to enjoy jumping in over my head, I ordered a book. 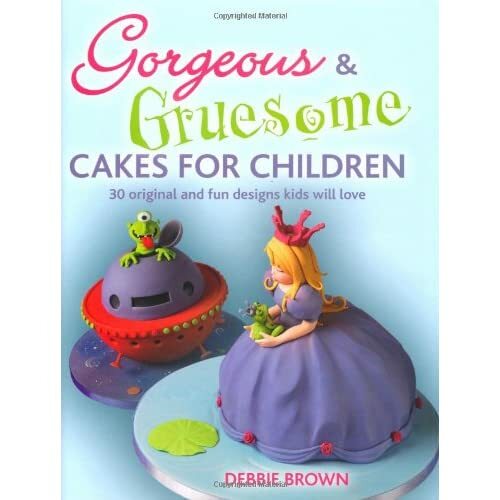 Isn't that little princess cake on the cover adorable? It's got to be that shape-able sugar icing stuff. I wonder how much like fimo it is and if my skills (or lack thereof) will transfer. And how many specialized tools or ingredients I'll have to buy to try this. I know I should have ordered it a month ago to give me more time to practice, but her birthday was months away, then all of a sudden, it wasn't. I can't wait to get the book and find out the secrets of making this.